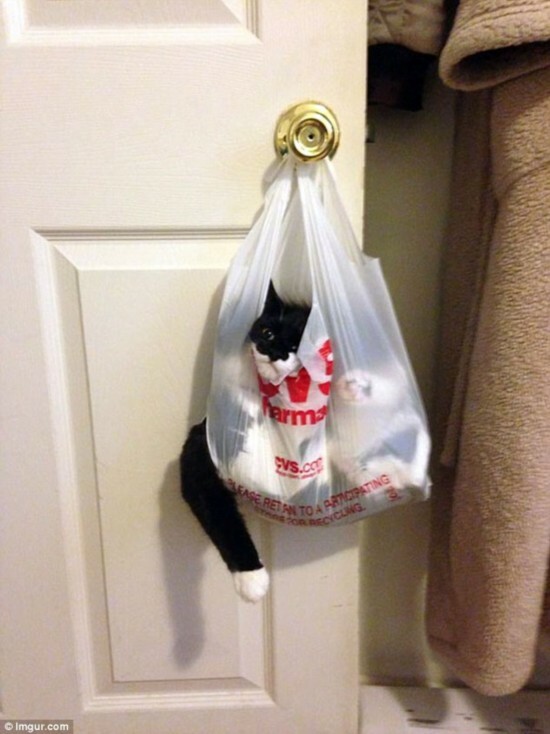 These images give a whole new meaning to the phrase: 'let the cat out of the bag'. Moggies, who clearly didn't think through their impulses, can be seen entwined in carrier bags, squished into a plastic crate and even trapped in a jar in a hilarious photo series. Whether it's being too ambitious by leaping off a window ledge or being adventurous enough to think it's a good idea to leap onto a floating mat in the middle of a swimming pool, these cats clearly didn't think their actions through. And these photos have been taken at the precise moment these pets realised that their idea wasn't such a good one after all.